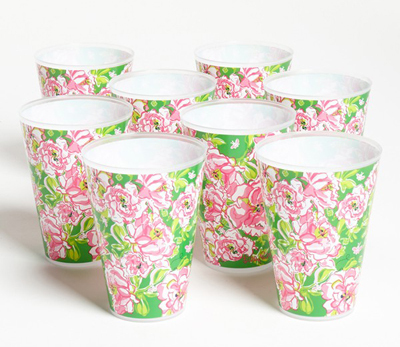 Cheery blooms splash color across these Lilly Pulitzer Floral Print Reusable Party Tumblers perfect for outdoor entertaining. 14 oz. Made of Acrylic. BPA-, lead- and phthalate-free. Dishwasher safe. $16. Free shipping. Buy here.